This screening will be followed by a Q&A with director Chip Duncan, protagonist Abdul Rahman Ramadhan, photojournalist/producer Patrick Muiruri and photojournalist/producer Salim Amin. Chaired by John Owen, Professor of International Journalism at City University London and Chairman of the Frontline Club. He was formerly head of CBC Television News and, more recently, Executive Producer for Al Jazeera programmes from 2010-11. 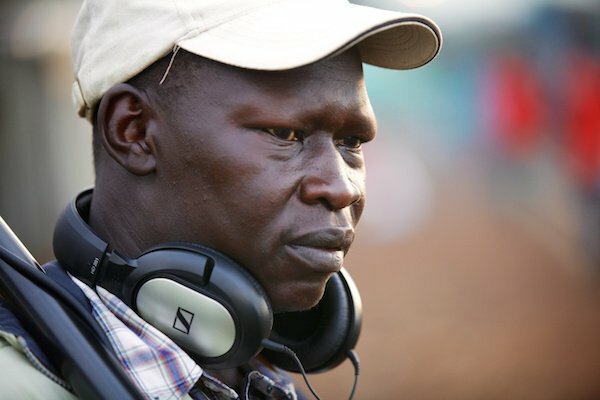 The Sound Man tells the story of Abdul Rahman Ramadhan, a 62-year-old professional soundman who has lived in Nairobi’s Kibera slum since he was born. For the past 35 years, Abdul has worked side-by-side with the best photojournalists from Kenya, recording sound for news reports featuring crisis, war, famine and genocide. The Sound Man uses extraordinary archival footage from Nairobi-based production company Camerapix to tell Abdul‘s gripping story – a story that explores the risks to frontline journalists and includes coverage of the Black Hawk Down incident in Somalia, the civil war in Sudan, the revolution in Ethiopia and post-election tribal conflicts in Kenya. Abdul was also an eyewitness to the genocide in Rwanda, having spent spent weeks working from the so-called “Hotel Rwanda”, and his firsthand recollection of the genocide provides extraordinary insight into the human condition. The Sound Man was written, produced and directed by award-winning filmmaker and photojournalist Chip Duncan.